The democratization of cloud infrastructure, powered by SSDs and managed by AI will set a new benchmark for big data analysis in 2018. The way that we look at the world is changing in 2018. Big data is a term you’re already familiar with, but the tactics that will be leveraged this year will totally blow-up the status-quo. This new breed of tech falls under the category of big data analysis. It’s how we interact with the petabytes of data that’s been collected since the dawn of the digital age. Just indexing this information would crush the computers of the last decade. But advances in cloud computing allow for vast networks of computers to work together, crunch data and deliver actionable intelligence. The backbone behind the cloud – a technical term for processing data on someone else’s computer – are cloud servers that can be deployed instantaneously, and scaled on-demand to meet the needs of the company or organization utilizing them. Combining better reliability with effortless scalability will continue to fuel the massive computing demands of large corporations as they comb data to find new insights that will shape our future. Head to a local Best Buy and look at the current line-up of consumer computers. Almost anything above the $500 mark includes a solid-state drive (SSD). These flash storage devices allow for information to be accessed instantly, as opposed to traditional hard disc drives, which spin and deliver data via a needle, kind of like an old-school vinyl record. 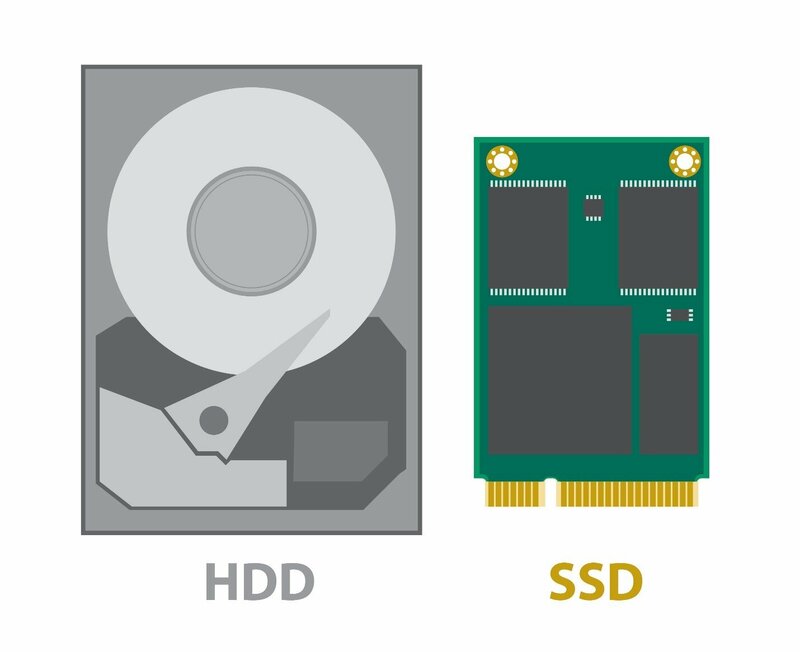 Not only are HDDs more susceptible to damage from movement or mechanical failure, but they are much slower. Instead of waiting for a needle to reach a data sector, SSDs use a grid of electrical cells to deliver information at the speed of electricity – you can dive deeper into how SSDs function by clicking here. In servers, SSDs have become the standard for everyone except the lowest ends of the hosting market. SSDs allow for ridiculous amounts of data to be accessed in an instant – feeding cloud platforms all the information they could possibly consume. This means that analysis of petabytes of data can be completed at record speed, allowing for more comprehensive algorithms to be run in less time. And the trend isn’t slowing down. 2018 will see the HDD market shrink by 6.4%, while the SSD market grows by 23.6%. Everyone from Uber to IBM is diving into the world of AI, or artificial intelligence. This is an exciting space because it offers the promise of dramatically reducing the everyday workload on human labor. Instead of a driver taking you to the airport and coping with heavy traffic conditions, or a marketing analyst deciding which products will be in season next fall, AI platforms can learn and understand a changing world in real-time to complete complex tasks. AI is more than a software program designed to complete a challenging task. AI is able to change its approach to reaching its assigned goal as the landscape changes. In business, change is constant. The way that we interact with customers, overwhelm competitors and deliver results to shareholders is highly dependent on how we cope with change. In the corporate arena, AI is promising to deliver on a big promise in 2018. Thanks to more powerful processors, like Intel’s i7X and Xeon server hardware, more data can be analyzed in less time. For big data analytics, more powerful hardware means more reliable results – as more scenarios can be gamed out. 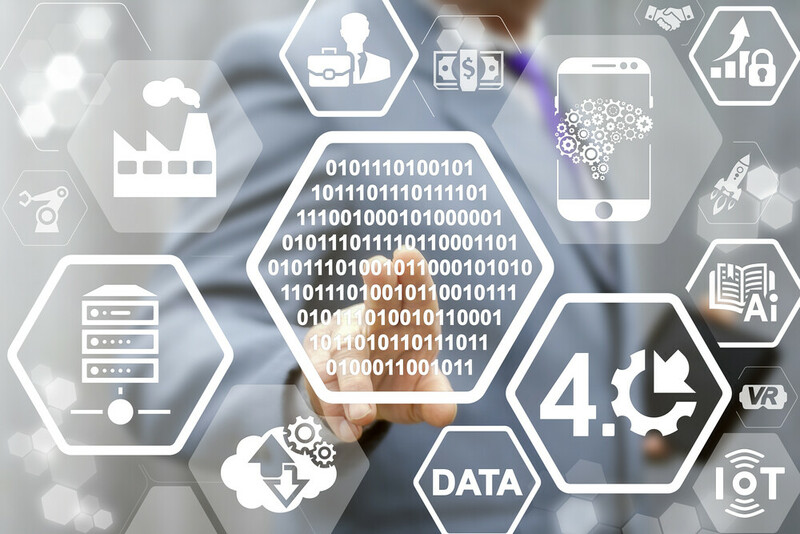 Artificial intelligence will leverage these tools to gobble up data, perform analysis and complete tasks in a more efficient way. Instead of programmers telling software to do a series of tasks, programmers will begin to program goals, or the desired outcome. AI will analyze the landscape and decide on the most efficient path to achieve the goal. There’s one aspect of AI that is worth mentioning – it remains the most time consuming. Neural networks are the brains behind AI – the best ones run on cloud architecture and are modified by skilled engineers in real-time from around the world. But here’s the rub. For all of the time that AI will save us in 2018, the time required to create and maintain a competent neural network is substantial. Without it, machine learning would be impossible. Wouldn’t it be great if we could develop the kind of computational infrastructure that could be given a few sentences – like a business objective – and do the heavy-lifting of forming the neural network that guides the AI on its path? It isn’t just server hardware that’s becoming more powerful in 2018. Qualcomm has rolled out Snapdragon 845, a mobile processor that is capable of powering AI technology locally, instead of requiring a network connection to plug into the computing power of the cloud for more basic tasks. This is a HUGE development. It opens up the possibility of developers creating locally stored and processed, mobile AI for the first time. You can bet that Uber is ecstatic about this, as they race to create self-driving cars, trucks and buses. There’s no question that 2018 will see the beginnings of a wildfire in this space. In conclusion, this is going to be an exciting year for big data analysis. Cloud server technology is more accessible, giving even small firms access to the heavy horsepower required to crunch data. Flash storage will allow huge amounts of data to be served up at the speed of electricity crossing metal. And AI will continue to benefit from, and support big data analytics as it takes over more and more of our daily lives.